Image-based localization systems are typically used in outdoor environments, as high localization accuracy can be achieved particularly near tall buildings where the GPS signal is weak. Weak GPS signal is also a critical issue for indoor environments. 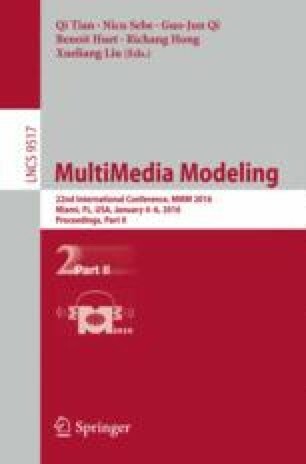 In this paper, we introduce a novel fast 3D Structure-from-Motion (SfM) model based indoor localization approach using videos as queries. Different from an outdoor environment, the captured images in an indoor environment usually contain people, which often leads to an incorrect camera pose estimation. In our approach, we segment out people in the videos by means of an optical flow technique. This way, we filter people in video and complete the captured video for localization. A graph matching based verification is adopted to enhance both the number of images that are registered and the camera pose estimation. Furthermore, we propose an initial correspondence selection method based on local feature ratio test instead of traditional RANSAC which leads to a much faster image registration speed. The extensive experimental results show that our proposed approach has multiple advantages over existing indoor localization systems in terms of accuracy and speed.